How time does fly! I can't believe that my little blog is five - what a journey it has been! I thought it would be fun to look back on a few posts I've done over the years. 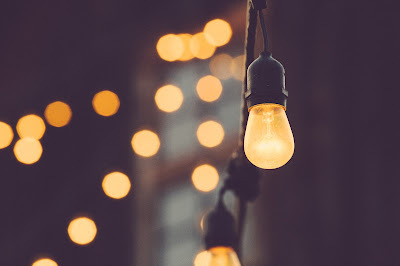 My first post was an attempt to restart a blog that I had started writing four years ago - back then, it was more of an extended, and public mailing list. This was a week after I turned 20, and I think the 'new decade' brought me some inspiration to write that I'm still going on! A few months later, I shared some pictures from a trip to the Masai Mara. There's a graduate student in the corner from Eritrea. He's working on a paper, but comes over to join us. We talk about running and soccer and being together and alone and philosophy and coffee. Always coffee. The first time I had a post with more than 500 views was not until June 2013 - and it was a post talking about a visit I had done to the Rift Valley Academy in Kenya. Fun fact - the cornerstone for the school was laid by Teddy Roosevelt! My first unofficial restaurant review was not even intended to be a restaurant review! However, Epice in Nashville was amazing, and started my love affair with Lebanese food. My mouth is watering as I write this. I remain perpetually shocked by the fact that I STILL live in a society where wives and daughters-in-law don't have anywhere near the respect and freedom that husbands and sons do. Am I talking about Kenya, or Indians in Kenya, or Indians in general? I haven't quite figured that out yet. However, I am talking about a problem that is extremely real, extremely relevant, and happening even today. 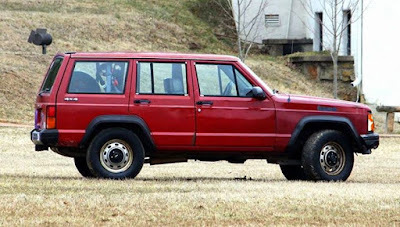 A post I really enjoyed doing was one about a red jeep and the love that three different men have for it. This was one of the first times I did a post that told a story about people. I've always loved doing guest posts, and for those of you who didn't read this one about personal space by Billie Rihal, you definitely should! My love affair with Sewanee most certainly did not end with graduation, or my return to Kenya. 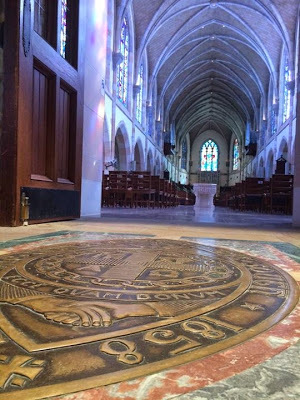 One of my best friends, Catherine Clifton, has a wonderful way with words, and so I had her do a guest post about Sewanee. Despite the fact that I regularly update my Instagram with pictures of new wines - I think that this one may actually be the only post that I wrote about a wine tasting I attended!! 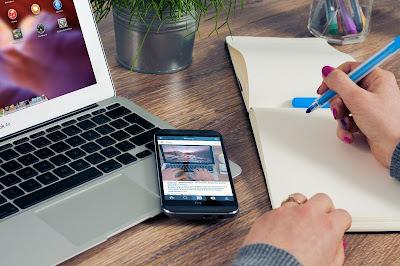 A popular post I did last year covered some tips that have been incredibly helpful to me on personal financial management. Another that I loved writing was one where I let loose with my frustrations about constantly being measured against what I, as a 24 year old woman at the time, was 'supposed to have' achieved. 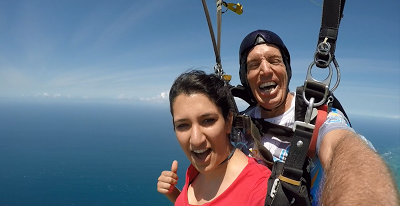 It still surprises me that I so spontaneously decided to go skydiving in Diani - but I loved the experience, and writing about it was so much fun!! I definitely intend to do more of these kinds of posts in the near future. The last story I featured on a person was back in December, and this was the story of Rohan Gandhi. If you need a dose of inspiration, you definitely need to check this one out! The 12th of February, 2004, was just another day in 16 year old Rohan's life - or so he thought. Who knew that a short span of 20 minutes would end up changing his life forever? A spinal cord infarction is "a stroke either within the spinal cord or the arteries that supply it. It is caused by arteriosclerosis or a thickening or closing of the major arteries to the spinal cord." Sounds like a medical definition that we may encounter at a doctor's office and move past - but for Rohan it was a reality that left him paralysed from the waist down in the presence of his peers. As he puts it, "everyone went to school the next day... I didn't." My love affair with food is no secret - at this restaurant review over Christmas, a friend and I almost ate ourselves silly!! This certainly is NOT an exhaustive list of all the posts I've done (and loved doing) over the past five years, but it definitely was a fun trip down memory lane! Thank you, dear readers, near and far, for being such great supporters of The Kenyan Nomad. I would love to hear from you this blogiversary - feel free to shoot me an email, comment below, or reach out on my Facebook page! I can't remember a time when I didn't love words. As much as I loved running around and riding my bike when I was younger, you'd be as likely to find me curled up behind a beloved book - I was probably the first child in the history of ever (okay, maybe not) whose parents actually had to tell the librarians to DISCOURAGE me from borrowing so much. When I was a child, even before I understood what all the black squiggly lines meant, my mother would read to me. When we'd exhausted all the stories at home, she'd make up new ones - lots and lots of exciting stories, with me (not knowing this) as the protagonist more often than not. Is it any wonder that I grew up to be such a lover of words? I remember reading Robin Cooks (random, yes), and the Lord of the Rings (now there's another timeless love affair) all before I turned 10, and always being left with this bittersweet feeling whenever the books ended. It has always fascinated me how I can live many lives, be many people, visit many places, learn many things - all within the span of a few short hours and inches. If anything, everything that I read inspires me to experience life even MORE - pages serve as inspiration more than retreat. Similarly, I cannot remember a time where writing was not a part of me. Not that I did it very neatly (or very well, much to the dismay of many English teachers who shook their heads at my fantastical ideas more than I'd care to admit). 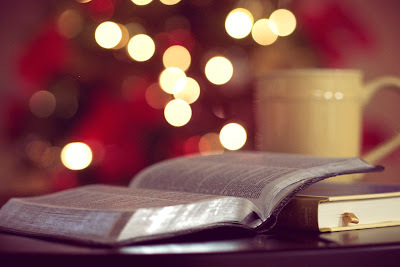 I do remember, in the fifth grade, when I went to a new school, I proudly took with me a book I had written, as much as any fifth grader could write a book - and read out a chapter to the entire grade. Crazy at the time, I know, but I'm glad I did! I love meeting people who have an elaborate mastery of language, and can twist and turn words to create realities as I sit with them. Small wonder that I ended up blogging, right? As my blog turns five today, a huge thank you to ALL of you for being such great supporters of my love of words! Finally, folks, I crossed that quarter century milestone! Coincidentally, I share my birthday with International Women's Day. It's great that my birthday and my blogiversary are just a week apart, so I have extra reason to celebrate. What did I get up to this year? Well, Wednesday was pretty busy with work, so it was a low key celebration with family. On Saturday, I had lunch with some girlfriends, then pampered myself at the Angsana Spa - Sankara for three and a half hours (and it was divine! More on this later.) After dinner, I went out for drinks and dancing at one of my favourite spots in Nairobi, J's in Westlands. Some of you may know me personally, but many of you only know me through what I write. To celebrate being another year wiser older, I thought I'd give you a (very random) sneak peak into what (sometimes) goes on in my mind. Have you ever really thought about the moon? I mean, really thought about it? Here's this floaty orby thingie in the sky that we get to see on an almost-daily basis. This little speck in the sky has influenced mythology and culture for thousands of years (that we know). Now that we finally have the technology to get to the moon - how many of us will actually make it there? GUYS. Will I ever visit the moon?! It's almost lunch time, and I'm kind of starving. This would be the PERFECT time to look at Darshani's latest restaurant review, right? Me on the inside: ARGHHHH RAGEEEE WHYYYYYYYYYYYYYY STOPPPP! Have you ever thought about the concept of nothingness? What if there was no universe (or universes)? And no life? And no ANYTHING? I mean, there couldn't even really be any nothing, because there would be nothing for that nothing to exist in! There'd be no empty black space. No potential all-powerful being. Nothing. AT ALL. I've watched the Lord of the Rings movies enough times to know some of the dialogues by heart. Needless to say, they're my favourite series and I try do them at least once a year. However, one part I hated (in the book too) - the ending!! I know that it's kind of the origin story of men and blah blah blah, but why'd they have to leave to the undying lands? Why'd Frodo go? Whyyyy? Unpopular opinion, but as far as the movies are concerned, I may just have to stop watching at Aragorn's coronation. On another LOTR note (one can never have too many), Eowyn is a badass. And they totally under-utilised Faramir in the movie!! Isn't it weird that people think breastfeeding is strange? Literally, a baby is eating - what's there to be weird about that?! I've always found it so weird how women who want to breastfeed will actually APOLOGISE to everyone else and then find a discreet place to go feed their baby. I don't know if it's as common elsewhere, but I've definitely noticed this in the Indian-Kenyan community. What's your test for books? If within the first 2-3 pages, I can't see the scene I'm reading actually playing out in front of me, I know the book won't be worth it. Granted, my imagination ensures that not many books fail this test, but at least it weeds some out! I don't understand what makes people so uncomfortable about the word 'moist'. However, I do respect that it's a valid fear, which is why I refrained from using the word at least three more times in this snippet alone. "Yeah, travelling's not really my thing." I wish I could create beautiful art and photos. Since I cannot, I appreciate those who can all the more! I think one of the things I love best about pictures is that they serve as a reminder that we live in a wonderful world indeed, and my corner is oh-so-tiny. I think that one of the scariest things that I can imagine would be waking up tomorrow and realising that what I have learnt in my life so far is all that I will EVER learn - that new knowledge will be inaccessible to me and my mind will forever be confined. As someone who thrives on words, I treasure those I receive from others very much. I got a very unexpected, but lovely message from a friend on my birthday that warmed me and made me feel like maybe, there's something I'm doing right. I feel like I've been saying this often enough over the past few weeks that others might just be starting to get sick of it, but I'm amazed at and extremely grateful for everything life has been throwing my way recently. I wish I could go back to my past self at the very hardest of times and tell her - yes, this will mean something one day. Or maybe not... I guess that was part of the learning. We really do not deserve dogs. They are furry little angels who make everything better. I'm going to go cuddle mine right this instant and tell them how lucky I am to have them! Sleep is so cool, and yet, so weird! We're literally programmed to put ourselves into an altered state of consciousness on a daily basis where we often have very weird hallucinations that we accept as being real at the time. Apart from when we're lucid dreaming. Which did happen to me every night for a few weeks last year. It was weird. I knew I was dreaming, but I still had no control over anything. So every time a woman is on her period, all the men in her life come together to send her to this magical land with unicorns and rainbows and candy so that they don't have to deal with her. I woke up and actually had to admire how profound the imagery was for this one. Why do people say 'Happy new year's'? It would make sense if they followed that up with 'day', since it is the day of the new year, but otherwise that extra 's' just doesn't fit. Wouldn't it be weird if men in work places started getting feedback and reviews that were less about their work and more about their personality? My brain is a strange, yet wonderful place. Thanks brain. You do you, buddy. Isn't it weird how we talk about love? 'I fell in love.' Sounds kind of violent, if you ask me. And also takes away the whole point about love being a choice, an action, something we have to do. If you think about how our ancestors lived their lives, it's actually scary how much we sit nowadays. Watched a scene from a movie about a woman who was sexually harassed by a man, and two other characters are talking about it. "Didn't he realise that she is someone's daughter, or sister, or wife?! Goodness!!" Wait... WHAT? So you're implying that as a woman, I should be respected because of my relationships with other men. You may mean well, but it's a dangerous way of framing the dialogue - it tells us that our value is derived, not from who we ARE, but from the men we are RELATED to. Next time you're tempted to say something like that, please try this instead: "She IS someone." Isn't it funny how we think that happiness is on the other side of some imaginary finish line? Yet whenever we reach that line, we redraw it to be further away? I don't know about you guys - I'm beginning to realise that it's not about the destination, but the journey. Any reactions? I'd love to hear from you! Feel free to comment below, or reach out to me on my Facebook page. A first job can be pretty terrifying - there's so much to do and learn, and often it can be hard to figure out how exactly to navigate this. Today's post will cover some tips that Brittany Macon, one of my best friends (and bias aside, an incredibly talented and intelligent young woman who will be graduating from Vanderbilt law school this May) and I put together after consulting with others who've had many 'first jobs', and drawing a little bit from our own experiences. Brittany presented a few of these tips to juniors and seniors at Sewanee during the 2017 Beyond the Gates weekend, and we thought it would be helpful to share these with the rest of you too! 1) Network. Especially during your first few weeks, and even before you join if possible, make sure to network with and talk to the people you'll be working with. It can seem intimidating to reach out initially, but it will be worth it. Building on relationships will help you be more successful at work - and these relationships, be they with mentors, sponsors or peers, can be valuable assets even after you leave the company. Talk to people who've done what you're doing before. They know what it's like, and can be tremendous resources once you're on the job. You will be helpful to them too! Remember - relationships go both ways, and you need to approach all relationships also keeping in mind how you can help them. 2) Dress the part. Impressions do matter, and sometimes the way you present yourself can help you feel a certain way too! So whether it's a law firm, a hospital, or a construction company, find out whether or not there is a dress code, and plan ahead. It may seem like there is a lot to learn when it comes to establishing presence, so here are a few simple things to keep in mind - posture, gestures and how you speak. Sometimes, just being aware of how you present yourself can help. There are tonnes of resources available online to help you think about body language and presence. This TED talk by Amy Cuddy is always a good starting point. Do you have any other resources? Please share them in the comments! 4) Reach out for help when you need it. A new job can be intimidating, and you might feel a pressure to succeed and figure out everything by yourself. Don't succumb to this! Remember, there are many resources available to you, and there is no harm in reaching out for help when you need it. You might end up wasting company time and money if you mess something up after spending a lot of time doing something the wrong way, when a simple question could have guided you in the right direction. 5) Underpromise and overdeliver. This was great advice given to me by someone when I was about to start, and it makes a lot of sense! Managing expectations is something that you will pick up along the way, and these two simple actions will definitely help. 6) Plan ahead. Use the end of the week (or day) to plan for what you want to achieve the next week (or day). You'll thank yourself for it - and so will those you work with! -Block a specific time in your calendar that is solely for work. During this time, avoid scheduling meetings, do not check emails, and turn your phone notifications off. -Set a maximum amount of time for meetings. -Pick specific times during the day for checking and answering emails. -Use clear subject lines and succinct communication when emailing. 8) Understand your company. Yes, you know what your job entails, and how your department works - but how much do you know about the company? Understand exactly how and why your company works, how the different departments work in sync, and how your work helps the machine run. Not only will this help you realise how much value your work has, but it will also help you in terms of growth opportunities. Silos do not work, and companies will be more likely to advance employees who understand the larger context of the company and can look toward the future of the company itself. 9) Take initiative. Yes, volunteering to plan the next office retreat can mean hours that you could have been sleeping instead, but participating in office and team building initiatives will help show that you are more than just your job - you are a member of the company. So take the chance to participate in office initiatives and trainings - take on new projects, and never turn down an opportunity to learn. 10) Avoid office gossip. In some sectors more than others, there can be a tendency for groups of people within an organisation to actually implicitly work against each other as office politics and egos come into play. Avoid the inclination to participate in office gossip - your reputation will thank you for it eventually. 11) Learn to say no. This can be hard to do, especially when you're the newbie, but understand that there is a difference in turning something down because you just cannot be bothered, and turning something down because you don't have the capacity to do it, and if you said yes, you wouldn't be able to give it your 101%. In line with number 5 above, people will respect the fact that you will not take on something that you cannot fully devote yourself to, and they will appreciate your work on the projects that you do take on. 12) Manage your energy. It can seem attractive to put in fifteen hours of work a day, seven days a week, but the fact is that you will probably be less productive in those hours than someone who spent less time but more energy on their work. Learn to manage your energy, both at and outside of work - and this includes getting enough sleep and exercise. Don't neglect your hobbies, and make sure that you are also keeping up with your network outside of work. Are there any other tips that you have used in your careers? Please do share with us in the comments below!